There’s a refreshed app out there, and it’s Google Fit’s brand new app that’s focused on beats and moves. We’ve read through the article by Google Fit’s VP of Product Stacey Burr and happy to share our review on this app. We speak to AsiaFitnessToday.com co-founder, Jasmine Low on this. Jasmine Low: I downloaded the app six months ago, and have been using it without even thinking about it! Once downloaded, you enter your personal settings, your weight, height, your goals – for example, you can set a goal of moving 45-minutes a day, then add in your activity like cycling for 35-minutes or hiking 90-minutes whenever that happens. The app will congratulate you as you achieve your goals. And I must admit, it’s quite a nice feeling, being congratulated and appreciated – even though you know it’s an app talking to you! 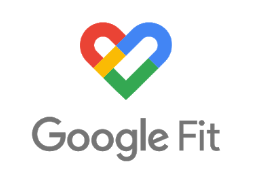 You’ll get Heart Points from activities logged on the Google Fit app. The app will automatically monitor your activities whether you’re walking, running, Zumba dancing or cycling making it so easy that you’ll just need to download the app and let it track your moves. 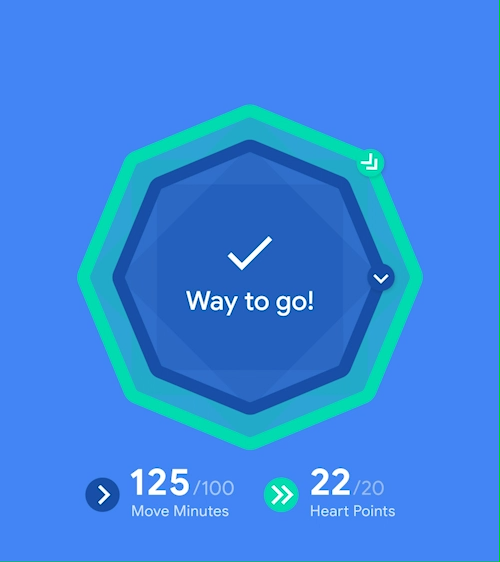 Google Fit tabulates Heart Points for any activity that gets your heart pumping. So they offer 1 point for each minute of moderate activity like fast-paced walking, 2 points for more intense activities like running or kickboxing. 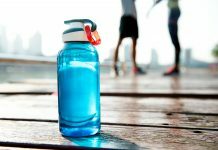 You’d need to achieve 150 Heart Points per week to meet the American Heart Association (AHA) and the World Health Organization (WHO)’s physical activity recommendations. And in doing so, you would have “reduced your risk of heart disease, improve sleep and increased overall mental well-being”. development as well as event experience, was the vehicle for our bigger purpose: to get more people moving! It was as simple as that. 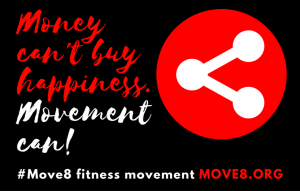 So I coined the name #Move8 fitness movement and the first #Move8 event kicked off in July 2018 with Zumba dancing and a 7KM walk along the route of monthly KL Car Free Morning organised by MultiGreen Events. Simply put, ANYONE can get moving and make it simple yet challenging to suit each person. 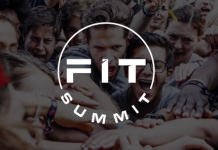 What Google Fit has done to inspire more people to move in what they call a Digital Wellbeing exercise, is gather 36 influencers from nine countries around the globe who show how they earn Heart Points. Read about it here and follow the hashtag #GetFitWithGoogle on Instagram and YouTube. Meanwhile here in Malaysia, we kick off 2019 with the #Move8 Walkathon on 3rd March 2019, in collaboration with International Women’s Day. 10% of funds raised will benefit the Home of Peace, a home for girls. Use promo code: move8, and enjoy 20% discount off your entry fee. Find a buddy, and come walk with us.